Cover design by Kari Larsen. 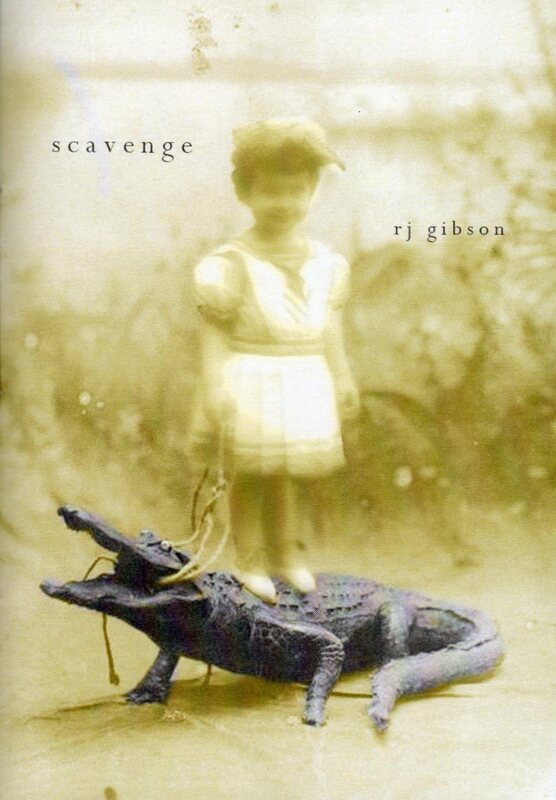 RJ Gibson is a student in poetry in the Warren Wilson College MFA Program for Writers. In 2008 he was a Poetry Fellow in the Lambda Literary Foundation’s New & Emerging Writers Retreat. His work has appeared in Knockout, OCHO, BLOOM, qaartsiluni, Ganymede, Six Sentences, and the anthology My Diva: 65 Gay Men on the Women Who Inspire Them. He lives and works in West Virginia. on some used floss to make a watch fob. grounds crusted to your shin, burrs in your sideburns. You’ll need a tetanus shot, slicing your palm on that soup can lid. Take thirty-three rolls of pennies and stack them for your spine. off the casket and give them to your mother. of the rat trap, loop it, make it the beat of your heart. Grady Harp’s review of Scavenge in Oranges & Sardines. Please click here to purchase RJ’s chapbook.